Sometimes you read something and you wonder why anyone thought it was a good idea to proceed. This is one of those instances. Richard Matheson’s novel of The Shrinking Man is a classic and anyone interested in the genre has likely either read the original or seen the film that was a Hugo winner in 1958 and is named to the National Film Registry by the Library of Congress. 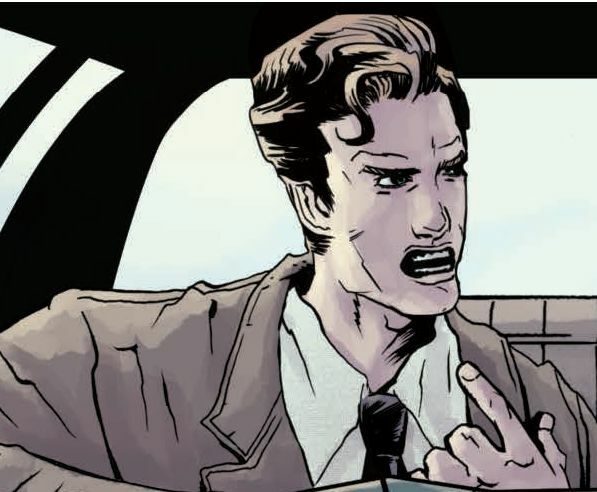 So why make it in to a graphic novel now? That’s the question I was asking myself as I finished this. I thought – hoped? – perhaps that there was something new here, but there really isn’t. This is the story of Scott Carey, a man who suddenly finds himself shrinking in an even proportion so that his entire body is getting smaller and smaller. The doctors don’t know why this is happening and they don’t know of any cure, though they hope that can at least stop the shrinking. Frustrated and feeling out of touch with his wife, he heads out and meets a circus midget who is his own size and they find comfort in each other. But he continues to shrink and eventually heads home to his wife, but his home becomes a chamber of horrors for someone of his very small size. It’s a great story and a wonderful study in human behavior and how an ordinary, common world can be so alien when seen from a different viewpoint. 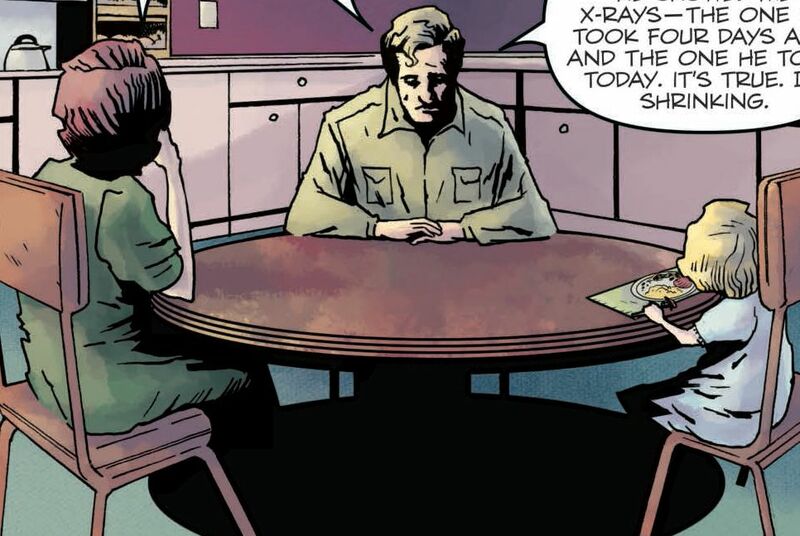 But the adaptation doesn’t completely capture this but instead focuses on the horror and angst of Scott. The art is weak, at best. So once again I have to ask myself…what’s the point? I’m sure that there are people who haven’t read Matheson’s original novel, or seen the classic film and that there’s some hope or desire that this will introduce a new readership to this great classic, but I fear this adaptation will do more harm than good. Looking for a good book? 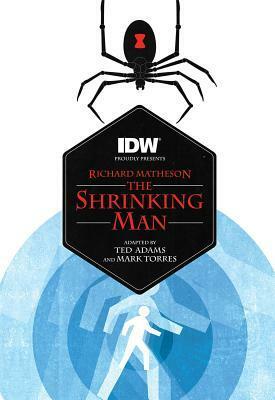 If you want to read the classic sci-fi story The Shrinking Man, by Richard Matheson, look for the original and ignore this graphic novel adaptation.